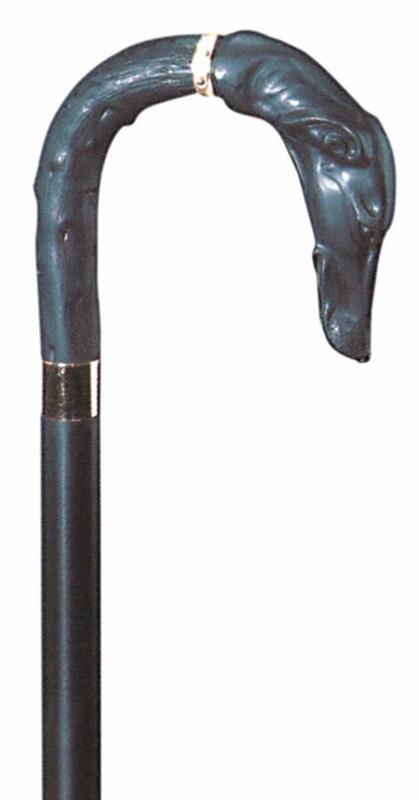 A beautiful collector's stick featuring a greyhound's head and neck, manufactured in acetate and fitted with smart brass collars and a metal ferrule. Height 92cm (36"). Ferrule diameter 16mm.